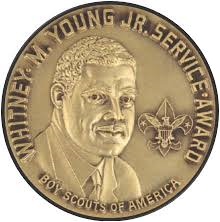 ProgramThe Boy Scouts of America provides programs for boys ages 7-20 and girls ages 14-20. Cub ScoutsCub Scouts is a program designed to meet the needs of young boys, by offering fun and challenging activities to promote character development, citizenship, and physical fitness. 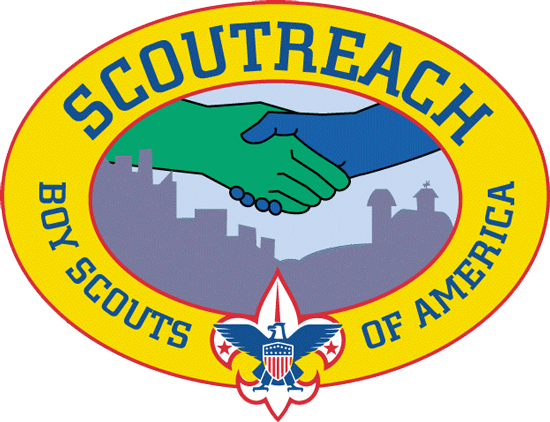 Scouts BSAScouts BSA is a program for youth ages 11 through 17, designed to develop character, citizenship, and fitness. VenturingVenturing is a youth development program for young men and women 14 years of age (and in the 9th grade) through 20 years old. Sea ScoutsSea Scouts is a youth development program for young men and women 14 years of age through 20 years old with a special interest in aquatic activities. ExploringExploring is Learning for Life’s career education program for young men and women who are 14 to 20 years old. Learning For LifeLearning for Life offers seven programs designed to support schools and community-based organizations in their efforts to prepare youth to successfully handle the complexities of contemporary society and to enhance their self-confidence, motivation, and self-esteem. ActivitiesThe Sam Houston Area Council offers a variety of activities in which packs, troops, teams, crews and ships are invited to participate. Advancement & AwardsScouts are rewarded for each achievement, which helps him or her gain self-confidence. 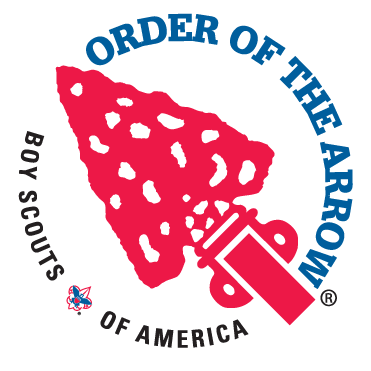 Order of the ArrowThe Order of the Arrow is the national honor society of the Boy Scouts of America. PopcornSelling gourmet popcorn is a wonderful opportunity for units to earn funds to support their entire year of Scouting. 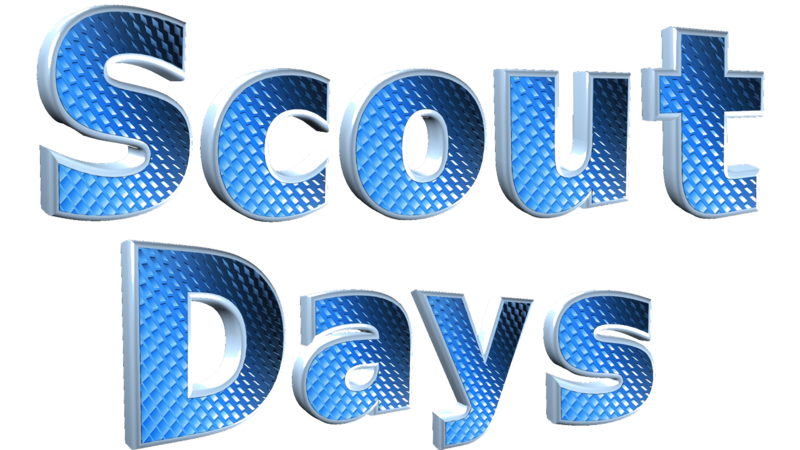 Scout DaysScout Days are opportunities for Scouts and their families to receive discounts on events with our community partners. Many of our partners also offer merit badge classes and advancement workshops for Scouts. 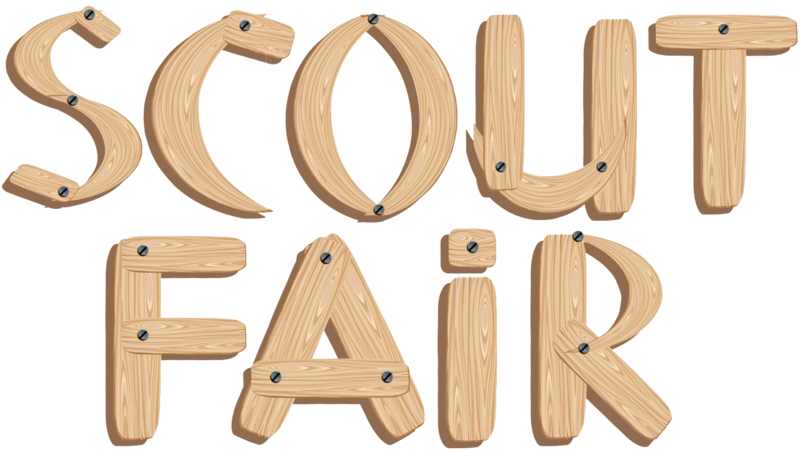 Scout FairScout Fair is an exposition of Scouting activities presented by units from across the council. Scouts and families can visit hundreds of booths and displays. TrainingEvery Scout deserves a trained leader. Training is an important part of learning to become an effective leader. 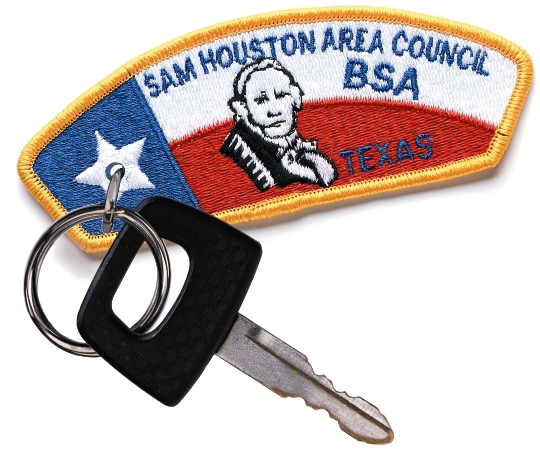 DistrictsThe Sam Houston Area Council is divided into 26 geographic districts. Aldine PathfinderAldine Pathfinder District is in the North Division and serves Scouts living in the Aldine and Spring Branch school districts. AquilaAquila District is in the South Division and serves the southwest area of the Houston ISD attendance zones of Harris County, including Sharpstown, Bellaire, Meyerland, and Braes Oak. 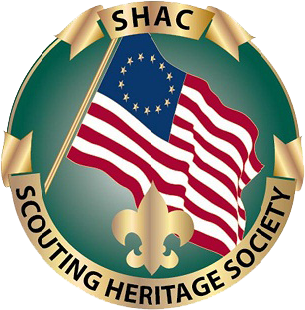 ArrowheadArrowhead District is in the South Division and serves Scouts living in the Alief and Fort Bend (north of US-59 in Fort Bend County) school districts. ArrowmoonArrowmoon District is in the Frontier Division and serves Anderson-Shiro, Bryan, Caldwell, College Station, Madisonville County Navasota and Richards school districts. Big CypressBig Cypress is in the West Division and serves the northwest area of the Cy-Fair ISD attendance zones of Harris County, including Cypress, Bridgeland and Fairfield. BrahmanBrahman is in the Frontier Division and serves Matagorda, Wharton and Colorado counties. BrazosBrazos District is in the South Division and serves Lamar CISD and Needville ISD in Fort Bend County. CopperheadCopperhead District is in the West Division and serves the southwest side of the Cypress-Fairbanks ISD south of West Rd and west of Eldridge Pkwy. David CrockettDavid Crockett District is located in the Frontier Division and serves Bellville, Brazos. Brenham, Burton, Hempstead, Sealy, Somerville and Waller school districts. Flaming ArrowFlaming Arrow is in the East Division and serves Scouts living in the Splendora, New Caney, Huffman and Humble school districts. George StrakeGeorge Strake is the Frontier Division and serves Scouts living in the Conroe (north of the San Jacinto River), Huntsville, Montgomery, New Waverly, Trinity and Willis school districts. Iron HorseIron Horse is in the North Division and serves Scouts living in the Spring and Klein school districts (east of Kuykendahl). MustangMustang District is in the West Division and serves Scouts living in the Spring Branch and Houston (north of Westheimer and outside of Beltway 8) school districts. OrionOrion District is in the North Division and serves Scouts living in the Tomball and Magnolia school districts. 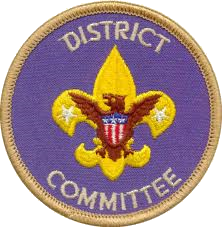 PhoenixPhoenix District is located in the North Division and serves Scouts living in the Klein school district (west of Kuykendahl). RavenRaven District is in the East Division and serves Scouts living in East Houston, Barbers Hill, Galena Park, Goose Creek CISD, Channelview, Crosby, Sheldon and Mont Belvieu school districts. San JacintoSan Jacinto District is located in the East Division and serves Clear Creek ISD, Deer Park ISD and La Porte ISD and the Pasadena area. ScoutreachThe Scoutreach service area is a non-traditional school based program. Scouting paraprofessionals support units in select schools in the Aldine ISD, Alief ISD, Fort Bend ISD, Houston ISD, Lamar ISD, North Forest ISD, and Spring Branch ISD. SkylineSkyline is in the East Division and serves Scouts living in Houston schools in Garden Oaks, Oak Forest, Acres Homes, the Heights, Independence Heights, North side of Downtown Houston, Magnolia, Denver Harbor, Wallisville Road and Port of Houston area. 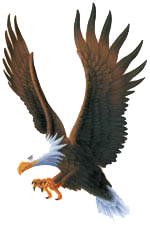 Soaring EagleSoaring Eagle is in the West Division and serves Scouts living in the eastern area of the Cy-Fair school district. Tall TimbersTall Timbers is located in the North Division and serves Scouts living in the Conroe school district (south of the San Jacinto River). 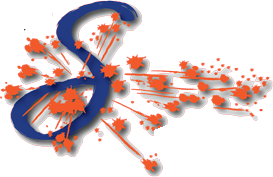 Texas SkiesTexas Skies is in the West Division and serves Scouts living in the Katy and Royal school districts. Thunder WolfThunder Wolf is in the South Division and serves Scouts living in the Fort Bend school district (south of US-59 in Fort Bend county). Twin BayouTwin Bayou is in the South Division and serves Scouts living in southwest area of Houston school district, including West University, Tanglewilde, River Oaks, Upper Kirby, Neartown, Galleria, Tanglewood and Westchase. W.L. DavisW.L. Davis is located in the East Division and serves Scouts living in the south region of the Houston, inner city Houston, Third Ward, Sunnyside, and Hiram Clarke area. 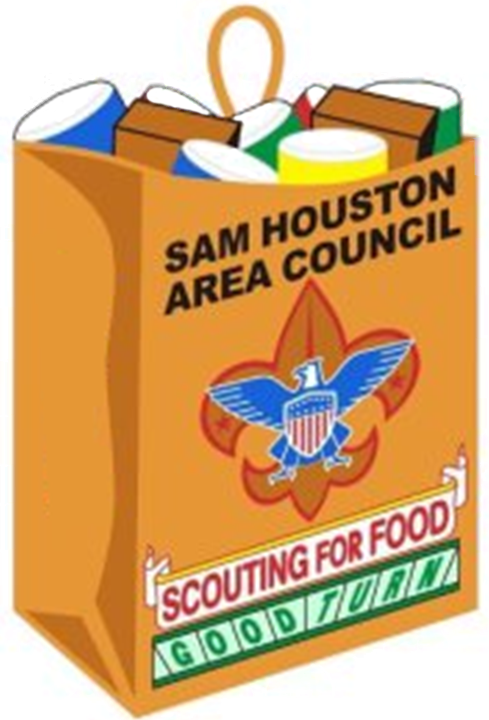 SupportHelp ensure the success of Scouting in the Sam Houston Area Council with meaningful gifts. Houston Sports BreakfastThe Houston Sports Breakfast is an opportunity to honor an individual for making a difference in the greater Houston area. Proceeds support the programs of the council. Dodgeball ChallengeThe Corporate Dodgeball Challenge is a fundraiser to support council programs. As many as 60 ten-man player teams compete for the championship cup. Celebrating CulturesIndividuals and organizations who have made an outstanding contribution toward implementing Scouting opportunities for at-risk youth in urban and rural areas are recognized at Celebrating Cultures. EndowmentEndowment gifts ensure that the council can continue to offer the outstanding programs we now have and also grow to meet the needs of our youth and community for the next 100 years. Leaders of Tomorrow CampaignThe Leaders of Tomorrow Campaign is an initiative to unleash the potential of our programs and camp properties to best serve the needs of Scouting families in the 21st century. Memorials and TributesMemorials and tributes are a gratifying way for individuals, businesses, or groups to remember special friends. New Eagle Scout ReceptionEagle Scouts are recognized at the New Eagle Scout Reception. The evening is underwritten with sponsorships. Other Ways to GiveHelp ensure the success of Scouting by donating cars, trucks, RVs, trailers, boats, motors, stocks, bonds, mutual funds, securities, uniforms, camping equipment, services, company matching gifts, and company volunteer grants. Planned GivingDonors can use giving to achieve personal goals, enhance your financial security, and to help shape the future of Scouting. Sporting Clays TournamentThe Sporting Clays Tournament is an annual event to support the council's programs for at-risk youth. Up to one hundred four-person teams can compete in the shot gun shooting game. ResourcesA variety of resources are available to assist parents and leaders in their Scouting efforts. CommissionersCommissioners are district and council leaders who help Scout units succeed. The commissioner is the liaison between the local council and Scouting units. District OperationsDistrict leaders ensure the growth and success of units within the district’s territory. Districts are responsible for carrying out four standard functions: membership, finance, program, and unit service. 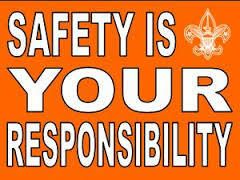 Enterprise Risk ManagementBSA puts the utmost importance on the safe and healthy environments for its youth membership. The council takes great strides to ensure the safety of its youth and adult leadership. FormsA variety of forms and resources are available. Journey to ExcellenceJourney to Excellence is the BSA's council performance recognition program designed to encourage and reward success, and measure the performance of our units, districts, and councils. Leader GuidesA variety of Leader Guide's are available to assist parents and leaders in their Scouting efforts. Membership RecruitmentMembership recruitment efforts take place throughout the year. Our main objective is to ensure that every youth is invited to join Scouting, and to fulfill our promise to new Scouts for a great Scouting program. 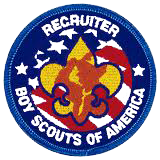 RecharterEvery December, all units (packs, troops, teams, crews, posts) are required to renew their affiliation with Scouting. 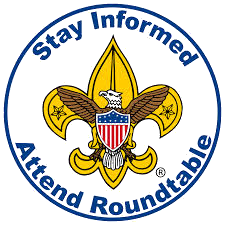 RoundtableRoundtable is a monthly program offered by districts that gives leaders hands-on experience and provides a forum for leaders to offer and receive help from their fellow Scouters. Scout ShopThere are five Scout Shops in the area to get all of your Scouting supplies. 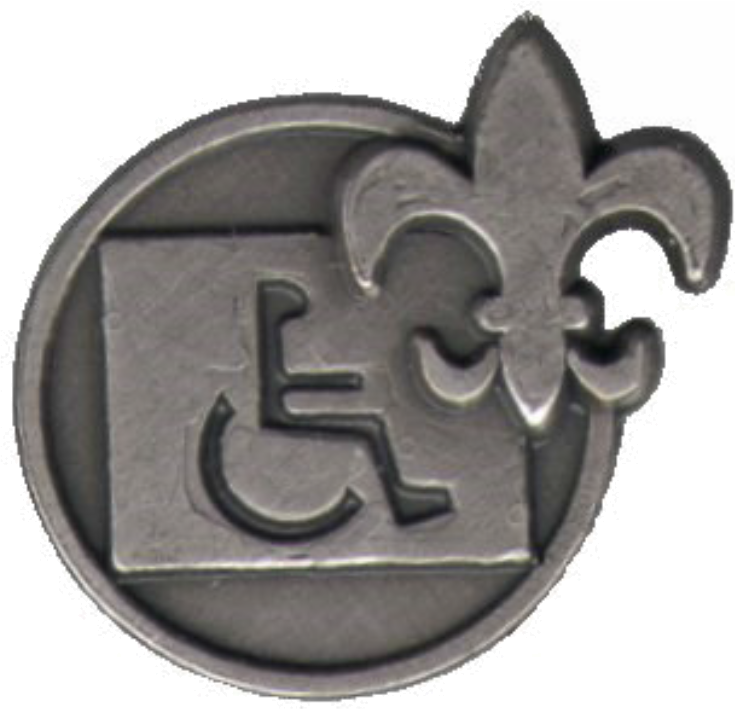 Scouts with Special NeedsThe council is committed to making Scouting accessible and enjoyable to all Scouts, regardless of their abilities. Tour PlanThe tour and activity plan is a planning tool to help leaders be prepared for a safe and fun adventure. It helps ensure trained leadership is in place, equipment is available, and there is safe and appropriate transportation. 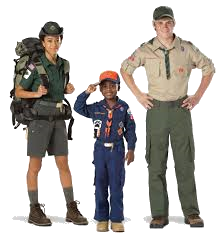 Uniform ExchangeThe uniform bank offers assistance to Scouts who would not otherwise be able to purchase a uniform. Due to the charter agreement and tax laws, Units are “subordinate” to the chartered partner. Some chartered partners are willing to allow units to use their tax number so their unit will be able to obtain a checking account. This is perfectly legal, but some chartered partners have concerns. If the chartered partner does not feel they can help you in this fashion, don’t worry. (Note: in the past decade there have been one or two exceptions to this). Go to Plan B. If your chartered partner is a business, public school or PTO go straight to plan B without presenting the Plan A concept. This is the best plan to follow when faced with the need for a checking account (the bank needs a federal tax number and your chartered partner doesn’t feel they can help you accomplish the task). What follows are specific instructions for units (packs, troops, posts) to complete IRS form SS-4 (Application for Employer Identification Number (EIN). The responses listed below no longer match up line for line, but do provide typical SS-4 responses for the IRS site. 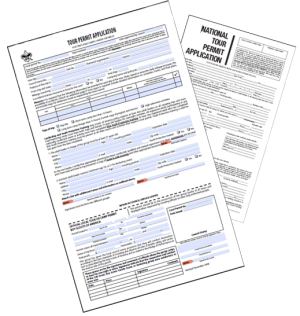 Several options are available for fast processing at the end of this document. Name of chartered organization (legal name of applicant) and unit designation; e.g. : First United Methodist Church Pack/Troop 151. “Care of" name (Unit treasurer, committee chairman, or chartered organization representative). Mailing address, city, state, ZIP code. Address, if different from Line 4. Name of the principal officer, grantor, or general partner (use chartered organization representative or committee chairperson, and their tax ID number. Please Note: If you do not have the chartered partner’s tax ID number, leave it blank). Important. Before filling in Block 8a, Type of Entity, remember that the national office issues charters directly to local chartered organizations and not to units. Units should ask their chartered organization for permission to use their EIN if at all possible. a. “Church or church-controlled organization”, if chartered organization fits this description. b. “Other nonprofit organization (specify)”, if unit is chartered to a nonprofit organization other than a church. c. “Other (specify)”, if the chartered organization is not a church or other nonprofit organization – just put troop, pack, etc. If your unit's chartered organization has a GEN (Group Exemption Number) that the unit is permitted to use, put that number in this section. Note, however, that the Group Exemption Number used by BSA local councils may not be used by a unit. Check appropriate reason (one only) for applying. Most units will check banking purpose (specify) interest account, etc. Enter closing month of unit accounting year (most units will use charter expiration month). Check “Other” and put “Youth program character development” or a similar statement. As needed or leave blank. Give the name and unit position of the contact person, such as the chartered organization representative or committee chairman. Important. Remember that the tax-exempt status of a pack, troop, or post is consistent with the tax status of the chartered organization. The employer identification number does not provide tax-exempt status. It provides identification! You will receive a letter from the IRS that includes your organization name and address, and your EIN. You also may receive other forms, such as Form 1023, Application for Recognition of Exemption, under Section 501(c)(3) of the IRS code. Units should not use Form 1023 to apply for recognition of exemption. Among other reasons, this is due to the normally prohibitive cost, and the requirements for units to provide articles of incorporation or articles of organization with the application, annual Form 990 filings, minutes of meetings and annual audits, many other compliance items and penalties for non-compliance. File by faxing the SS-4 (5-day turnaround). Be sure to request a fax back. The fax number is (215) 516-3990. For more information and a copy of the most current Form SS-4, please visit the IRS website, www.irs.gov. We have the EIN - are we ready to go to the bank? Once equipped with your EIN you are well on your way to getting a checking account established, but the bank will want some additional documents like minutes from your committee meeting showing who was voted to accept the role of treasurer and who has signatory authority. Other items include a copy of your charter and an official print out of adults. The EIN, charter, minutes and roster are the items most frequently presented to the person establishing new accounts. Banks offer commercial accounts and individual accounts. 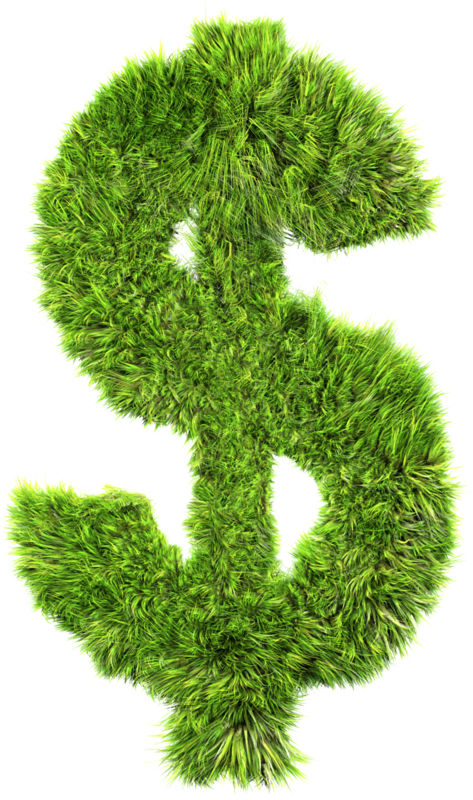 Your unit account would not be personal; therefore, it falls under a commercial classification. The bank employee working in setting up your account is probably accustomed to commercial accounts, but may not have dealt with unit accounts. This is why they often will request articles of incorporation, bylaws, officers, DBA and a host of other paperwork that you do not have. Don't worry. Explain that this is a unit account for Scouts and most banks accept those items discussed in the first paragraph of this segment. If your explanation is not accepted, please ask to speak with the branch manager or officer within the bank that can help render a decision. Of course, the Sam Houston Area Council does not dictate bank policy, but we can help explain your situation should there be any confusion at the bank. Please ask bankers to call 713-756-3318 for support. Incidentally, some banks like Compass Bank offer free checking. If you know of others, please advise us, and we will add them to the list.